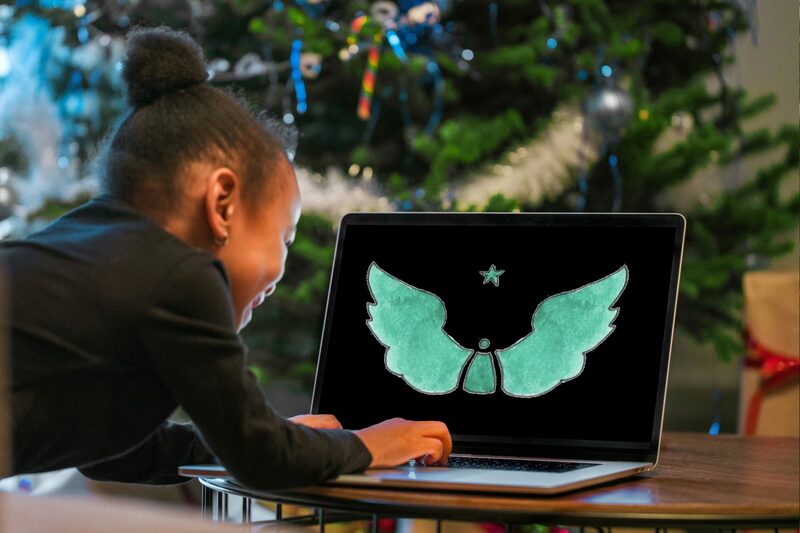 Poughkeepsie, New York – Angels of Light, a Hudson Valley 501(c)3 not-for-profit organization that provides holiday giving to children and families with life-threatening illnesses, is receiving a much needed digital facelift from local marketing agency Tipsy Social. Angels of Light has grown tremendously in the last four years, with the 2018 holiday season being the largest in its history. In 2018, the organization had nearly 100 small businesses participate in their Giving Tree program which helped provide holiday gifts for over 100 Hudson Valley families. Their accomplishments have earned them national recognition, and most recently named them 2019 “Heroes of the Year” by Ronald McDonald House of the Greater Hudson Valley. Tipsy Social, a Hudson Valley agency offering comprehensive marketing and design solutions to small businesses, became involved with Angels of Light as a holiday Giving Tree sponsor. After seeing the impact of the organization, Founder & CEO Andrew Mendez-Spera knew that there was no better recipient for their 2019 website donation. The impact Angels of Light has on families in the Hudson Valley is just phenomenal. After seeing the smiles from the children and reading the stories, I knew that we needed to get more involved. We wanted to help them continue their mission in an easier way, and by donating a new, more effective, website it’s just one way we can do that. Angels of Light will be among great company like Orange Street Cats, Inc. of the Capital Region and NorthEast Pit Rescue and Sanctuary, Inc. of the Southern Tier, to receive a comprehensive website redesign from Tipsy Social. The agency has donated these services for a not-for-profit each year since its inception. Each organization receives many benefits from a professional website design such as the ability to apply for grant funding, legitimizing their cause, and increasing sponsorship and donations. Their offer is so incredibly appreciated and generous and we were extremely excited to take them up on it. It can’t come at a better time. I started about a year ago and redoing the website has been on my radar and it just kept falling by the wayside because of getting busy with other things. I know the tremendous amount of time and energy it takes to design and develop a website and this donation is just incredible. Tipsy Social and Angels of Light will work together over the coming weeks to transform their website. You can learn more about the Angels of Light organization by visiting their current website at www.angelsoflighthudsonvalley.org. To learn more about Tipsy Social, visit getwithtipsy.com.